We recently returned from a weekend trip to Montreal. On Sunday morning, we enjoyed brunch in a neighborhood at a restaurant that boasted lots of local families. Every dish was served with warm, soft apples called, pommes chaudes sucrées. We all gobbled them up and I came home itching to know how to make them. It's almost too simple to call it a recipe, but that's the beauty of it. These can be whipped up in minutes. Served as a side to roasted chicken or pork they would be delicious or we have been enjoying them as a little dessert. I live for versatile, easy ideas like this. And since all you're really doing is warming apples with butter and sugar, I prefer to refer to this dish in French, because #everythingsoundsbetterinfrench, oui? 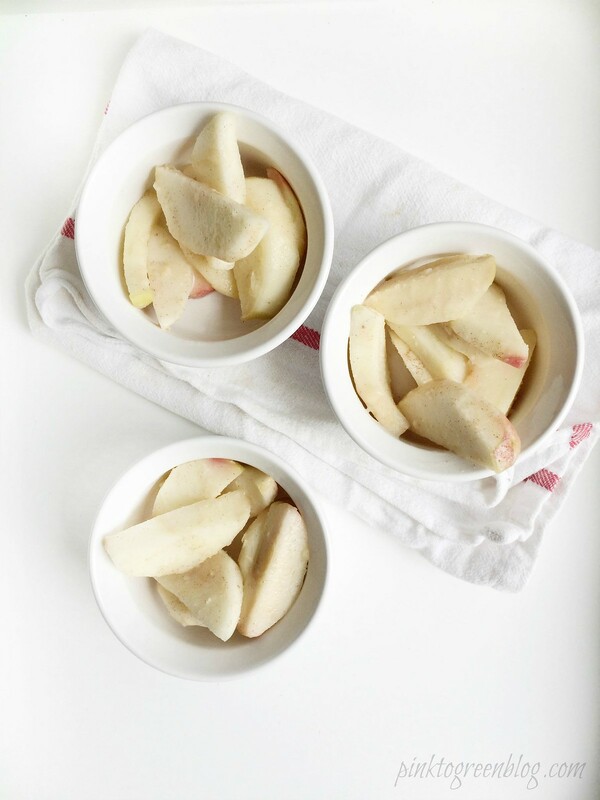 3) Add apples and let them become warm and soft, approximately 5-7 minutes. 4) Sprinkle with sugar (and a pinch of cinnamon if desired). Serve immediately.